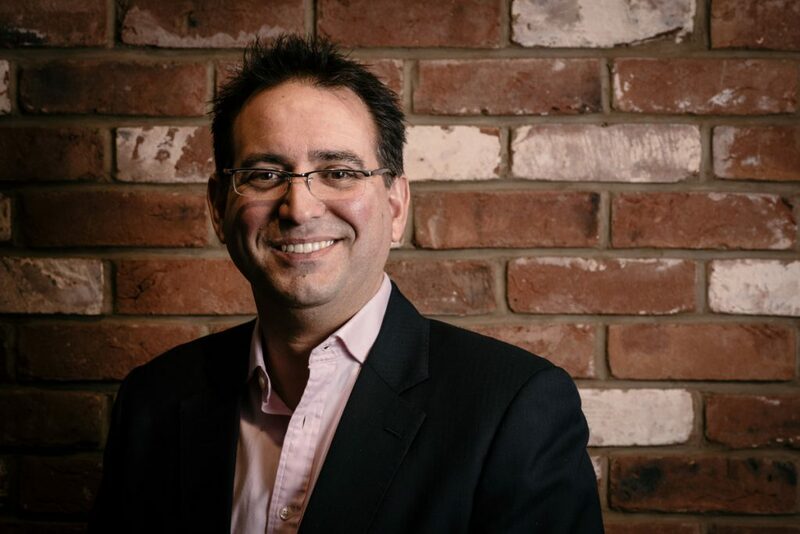 Today we have the pleasure of interviewing James Mayes, CEO and co-founder at Mind the Product. You can follow James on Twitter to get insights on Product Management and how to build products that people love. Mind the Product started in 2010 in London and now consists of more than 50 000 members and the event traveled the world, being hosted in more than 100 cities. Let’s see what are the secret ingredients in building such a great community for Product Managers. How did Mind The Product start? What helped you decide on the topic and vision? Three product managers at London startups were looking to meet others – to share war stories, learn more about approaches and generally get some therapy from other professionals facing similar challenges at work. Nothing much was available, so two events emerged – ProductCamp London, from Simon Cast and Janna Bastow, and ProductTank from Martin Eriksson. The three teamed up, and Mind the Product was born. The vision then was very much as it is now – to further the craft of product management by bringing together product people of all stripes. What makes the events and community so vibrant? I think the accessibility goes a long way. The free meetups under the ProductTank banner continue every month, now in 140 cities; videos from the larger meetups are posted on our media site (no paywall), and we have a slack community with north of 10,000 members around the globe. When we talk about conferences and training, there are obviously budget and location constraints – but there’s so much we support that’s free and location-independent. The diversity that has attracted is certainly high impact. What do visitors love most about the Mind The Product events? We keep a strong line between commercial and content decisions. Anyone on a stage of ours is there because they were invited on merit alone, we don’t sell stage time for marketing activity. So many conferences use that as a hook to fill out the budgets, but it’s almost always a substandard experience for the delegate. We also have a high number of Product Managers on the team here – we don’t just know our audience, we are our audience. There’s a relentless focus on the delegate experience. Of course, things go awry occasionally, but the effort we put in does show through, and we hear a lot of appreciation for that. How do digital communities (the website / Slack channel) improve the event experience? There’s a definite sense of community in the Slack channel, and you can see excitement for the conferences building weeks or months ahead, as people start discussing speaker announcements, places to stay and so on. It continues long after too, as we release the videos – people coming back together online to break down certain talks or messages. Many conferences are a one or two day event, with a pile of marketing email before and nothing after. We’re aiming for a wider experience. What were the greatest challenges in scaling Mind The Product internationally? Navigating timezones and international tax laws is always a challenge! Aside from that, the problems faced by Product Managers are remarkably similar around the world. That helps the content travel well, which builds our reputation ahead of us. That said, much of our content has come from the main firms of Europe and the US so far, so I think our next challenge will be unearthing the stories behind some of the tech giants or rising stars in the East. We want to keep a tight focus on the conferences and work more on that delegate experience, there’s plenty more we can do! We also launched a formal training business in 2017, expanding our operations into developing bespoke product management training for delivery to major corporate clients. We closed out the year with some amazing feedback from clients around Europe and across the US, so I’ll be looking to ensure that has the support it needs to attack 2018 with vigor! As part of our Event spotlight series, we decided to interview the team behind one of Eastern Europe’s leading tech events: Techsylvania. The event started in Cluj, a city Techcrunch named “The Silicon Valley of Transilvania“. Tell us a bit about yourself – how did you decide to start building tech events? Vlad Ciurca: My background is a mix of economic studies, marketing, IT – product management and business development. In the five years working in IT I also got involved in organizing events. One of the first was Romanian Managers Cluj. The purpose was to create business networking events, something rather new at the time. Then I met Philipp Kandal, one of the co-founders of Skobbler, currently Telenav and together we analyzed the start-up scene in Cluj-Napoca. We wanted to do something in this direction, so we developed Startup Weekend. Practically, this way at the end of each event some new projects were born. In the next four years five teams received funding from international accelerators and the event grew from 90 participants in the first year, to around 150-160 participants in the next years. How did Techsylvania start? What helped you decide on the topic and vision? Vlad Ciurca: Organizing Startup Weekend, me and my co-founder, Oana Petrus, realized that there was clearly a lot of interest in this area of startups, technology and entrepreneurship. In the same time, we saw that all the IT conferences from that time were not really oriented in these directions. Also, they did not have international speakers. So, we can say we had our work cut for us. In 2014 I started working with Oana on a new concept: Techsylvania. We built an international event where founders from all the world, investors, various experts and entrepreneurs meet in the same location, chat and discover the steps needed to create a technology company. Techsylvania started in 2014 with 380 attendees and grew to more than 1500 attendees in 2017. Apart from this, the event features a connected devices hackathon where developers build creative projects, as well as a startup competition that featured early stage companies from 9 countries. How did you manage to develop the wonderful community around Techsylvania? Oana Petrus: From the first edition we wanted the conference to be an educational course for people who want to discover everything about how a technology company is being born. Our community was built step by step. More and more people joined because we provide a place where they can learn firsthand from the experience of successful entrepreneurs, tech leaders, investors and founders of startups listed to the stock exchange. Also, they can meet other people starting a new project and exchange information. These are strong reasons for attendees to wish to come back and for others to join the community. In 2017 our conference grew to 1.500 attendees from 1.316 participants in 2016 and 830 in 2015. Our community is strong, and this is clearly shown by the fact that 96% of the 2017 participants expressed their wish to attend Techsylvania in 2018. In its essence Techsylvania seeks to provide answers. The fifth edition, taking place June 9-12 in Cluj-Napoca, will once again gather key stakeholders, tech leaders and curious minds from all over the world to explore the technology opportunities across Eastern Europe. What do visitors love most about the event? Vlad Ciurca: The vibe of the conference, the people they meet, the knowledge they acquire and the speakers they listen and learn from. Every year we bring international speakers, literally from all over the world and this makes people love our conference. The chance to see new experts and tech leaders every year, all with a vast experience. Its a rare opportunity to see many of our speakers and guests in this part of the world and even more so to actually be able to interact directly with them. Don’t mind me saying but its an amazing networking event. “If you want to get a pulse of tech innovation, ecosystem, talents in Eastern Europe, Techsylvania is the gateway. Cluj is one of the most exciting places right now and the event draws the who is who from the erupt tech scene”, Joyce Shen (Thomson Reuters). 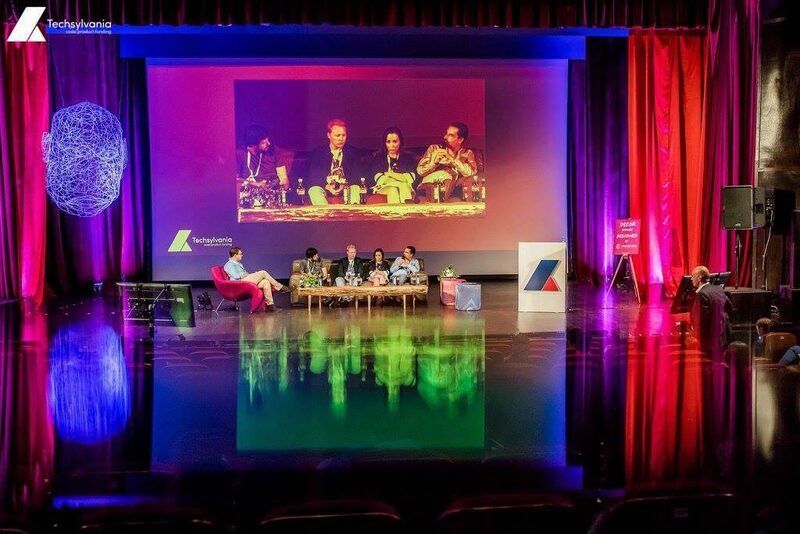 What were the greatest challenges starting and developing Techsylvania? Oana Petrus: The first challenges we faced? We wanted to make the event a great one from the first edition, so a real challenge was the line-up. We knew that if we wanted true knowledge for our attendees we had to convince international speakers to join us as well as people from the Romanian ecosystem. We succeeded I’d say because we had 19 speakers and among them were HP Jin, Co-Founder, President and Chief Executive Officer at Telenav, Andy Piper, Developer Advocate at Twitter, Johannes Reck, CEO at GetYourGuide and many more. And this was 2014. Also, another challenge was organizing the hackathon. The focus was on new wearables and connected devices but many of them were not accessible at that time, as they weren’t sold on the market in Romania. Regardless, we have managed to get them to Romania by collaborating with the manufacturers and out them in the hands of the developers to see what creative projects they could develop. Oana Petrus: What to expect in 2018? First off, an inspiring speaker’s lineup that will talk about some of the most recent technical developments, product related topics, as well as funding and entrepreneurship trends & best practices. Roundtables for executives – we will host topic-oriented discussions for 10–12 executives, moderated by an industry expert. The goal is to stir collaborations and get insights that can help you drive your business forward. Vlad is the Co-Founder of Techsylvania (leading technology event in Eastern Europe) and Codiax (Deep Tech Event). Previously, he was VP of Business Development at Yopeso, Product Manager at Telenav (working on creating navigation solutions for mobile devices and auto manufacturers), as well as Operations Supervisor at UPS and Ceva Logistics (where he managed a 100-person team (starting from a 4 person team). Vlad is passionate about building events and communities, having been a Startup Weekend Organizer and Facilitator and co-founding one of the biggest online and offline communities of managers and entrepreneurs in Transylvania, Romanian Managers CLUJ, with close to 900 members. In 2011, Vlad was named a Technology and Entrepreneurship Expert in the “Young Romania Forum”, a project organized by the League of Romanian Students Abroad, with the aim of getting the younger generation involved in the future of Romania. In 2015, he was invited to speak about the ‘Born Global’ topic during the Romanian Business Leaders Summit, an exclusive event with over 200 top managers and entrepreneurs from Romania. Oana Petrus is the Co-Founder of Techsylvania (leading technology event in Eastern Europe) and Codiax (Deep Tech Event). Working now in Paddy Power Betfair Cluj as Office Manager, she brings her extensive knowledge of processes and administration, from being in charge of Processes and Quality at Sykes Cluj-Napoca to coordinating teams in Cluj, Cairo and Shanghai. An experienced manager with over 12 years experience in retail, business development, telecommunications and event organizing, she put her vast know-how to work for brands such as Paddy Power Betfair, Sykes, Orsay, Motivi, s. Oliver, Startup Weekend Cluj and others.